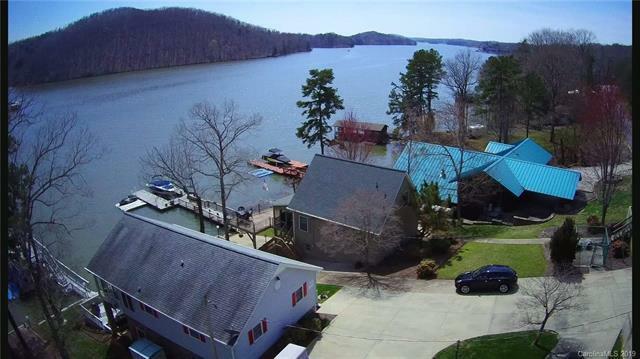 This Badin Lake waterfront home boasts unobstructed long range views of the open water. Views of the islands & Uwharrie National Forest. The main level features kitchen, dining, living room, bedroom & bathroom. Many recent upgrades ($60k). The kitchen features stainless appliances, oak cabinets & granite countertops. 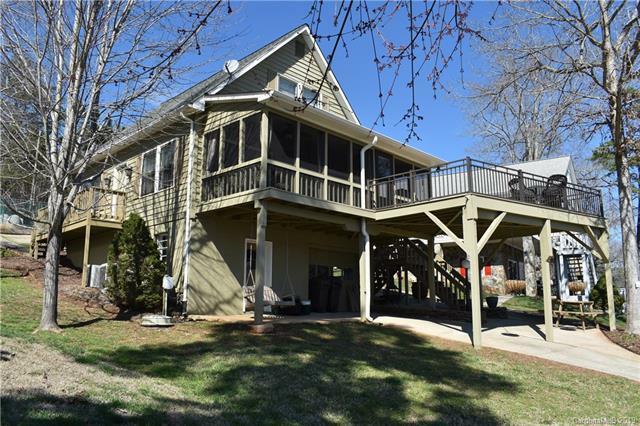 Large lakeside deck & relaxing screened porch w/ceiling fans. 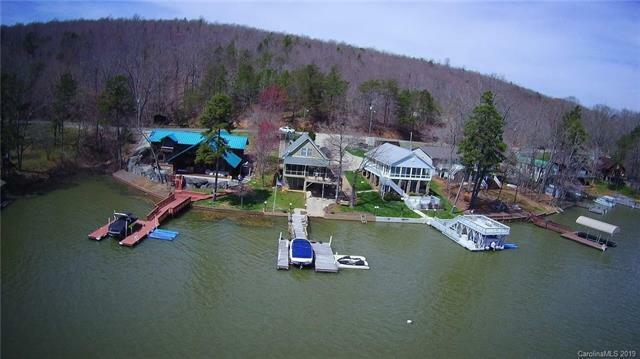 Floating pier w/boat slip & lift, 2 PWC ports, PWC lift & seawall. Boat garage w/wench & paved boat ramp. Beautifully landscaped yard, level from basement to lake. 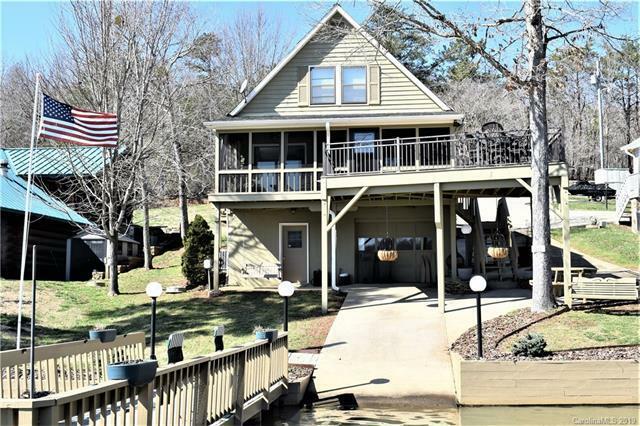 The upper level includes guest bedroom, & the master w/superb lake views. Unfinished basement has lots of potential & is currently being used for laundry, recreational/table tennis, storage, etc. Fenced lot for pets. Concrete driveway, w/additional parking area. Security system. Furniture negotiable. Convenient to the lakes marinas that provide dining, gas & watercraft rentals. Private neighborhood boat launch nearby. National forest 5 minutes away.